The best editor helps you easily make logo animation video with powerful features. Believe it or not, a logo can make or break your image easily since it represents your company. Moreover, an impressive and influential logo intro/logo reveal can spruce up your business and its reputation. Having a great animated intro logo not just gives a creative look to your logo and presentation but it can be a great strategy to engage your audience. You have no idea how a unique idea to animate your logo can draw you a tremendous website traffic. Therefore, through this article, we would like to introduce you some recommended online free logo animation makers. So, let’s eliminate the need of downloading an extra software and start animated logo online. If you want to edit animation video, we recommend using FilmoraPro. You can use it to design logo animation by effects. Keyframing will make the animation smooth. Motion blur will also give your logo animation more touch-up. Various title templates and transitions are available for you. Advanced color setting can make video color more engaging in every frame. Download it to have a try (Free)! Animated logo refers to revealing your company’s, businesses, brand’s logo in a spectacular 2D or 3D animated way. It’s a way in which a logo and the tagline are having transitions and motion effects to make your logo memorable, so you don't need to worry about why you should use logo animation. For example, it can be moving letters of your logo in a creative way or maybe characters bouncing and having a fun sound with each letter bouncing etc. An animated logo intro can be a dominant advertising tool and showing them to the people in your presentation or video in a captivating way can make a remarkable identity of your business. Therefore, it becomes vital to make a logo animation worthy enough to fascinate your visitors. Let’s now talk about those animated logo makers we talked a little earlier so that you can make yours a special one and appealing. Below is a comparison table of 8 free logo animatin maker. Check it out! First in the list is Renderforest. It is a free logo animation maker that promises to offer a wide range of different animations. You can select one suitable to your video or presentation needs or you can simply give your own logo or image an interesting animated effect by Renderforest. This tool provides a large variety of unique logo animation designs to choose from like shattering logo, liquid splash logo, fire logo or glass logo etc. Your logo animation can be done in minutes with this online logo animation maker. This can also be called a 3D animated logo maker online since you get 3D effects too. Tube Arsenal is the next in the list that can help you animate your logo in an easy way. 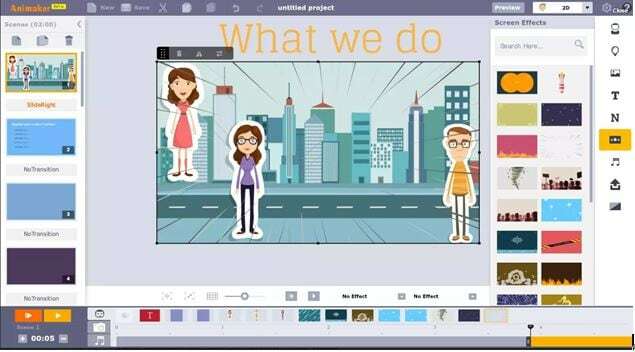 It’s available 24/7 and you can create your animation in three simple steps. It takes no special requirement of designing skills. There are a lot of animation options available with this online 3D animated logo maker. It offers quick and unlimited previews. Here is a yet another logo maker that can help animating your business logo in an effective way and providing an effective output. Intro Maker can help looking your YouTube channel more professional by enhancing the logo in creative way. You can either use free intro or choose paid premium version. Make an animated logo within a few clicks with this online tool. In addition, there are intros catalog from which you can choose the preferred one. Adobe Spark is a logo animation maker whose motive is to give a finishing touch to your videos by adding the best intros. Be it logo intro or video title intro, it should be creative. This is what the main concern of Adobe Spark. This online tool provides a large number of fonts suitable for various occasions. You can pick out any photo from web or Adobe creative cloud or from anywhere to work with. A lot of professional themes are provided by this animation maker. You can have fun with colors, fonts and apply in your texts, photos, icons etc. You can also use Animaker and take help to make our logos look animated in your video or presentation. This logo animation online can make an animated logo within a few steps. It comes with an easy drag and drop interface. 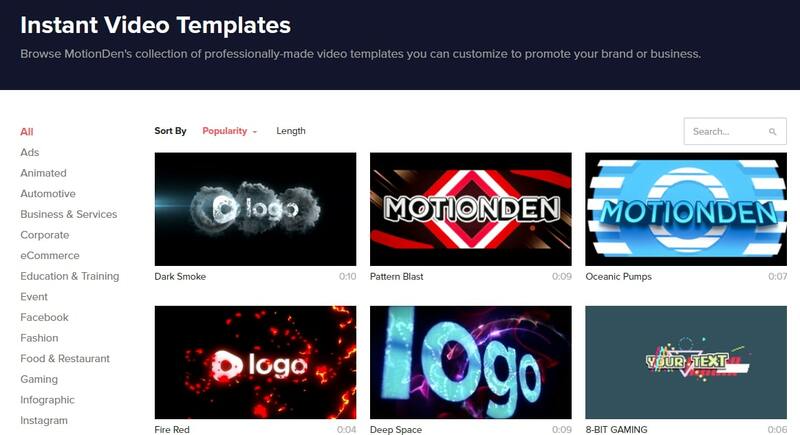 You get more than 20 templates to choose from in order to make animated logo. It can also help in adding effects or music to animating project of yours. Quince Media is sixth in the list for which you don’t need to pay any money since it’s a free logo animation maker. You need to upload your logo image in vector or PNG format. From sandy to moon to sunset effect and design, it has all that can ever be needed for better logo animation. This tool promises to send you a logo animation video when to send logo design to Quince Media. Make Web Video is one of the best online logo animation tools available in the market. Along with providing cool designs, it works professionally like other expensive software. Although it’s free to use, it has many beautiful paid templates that are worth giving a try. You can modify color and tempo of the videos. No technical knowledge needed and the process gets complete in just 0 minutes. This toll is also among the free and creative 3D animated logo makers online. You can either look for 3D logo samples from the gallery and choose the appropriate logo for your company, or create one on your own using the amazing presets that this web app offers you. It offers you a huge catalog of free, predefined and customizable 3D logo samples. Even the novice users can easily customize or create their very own 3D logos. This is a user friendly animated logo maker, which means even beginners can make logo animation easily. There are various templates you can use including dark smoke, fire red, serenity and more. It is cloud-based, so you can use it on all devices. Various templates to use for beginners. The best animated logo maker for using it on phone, desktop and tablet. Its interface is simple to use with powerful functions. The whole style is hi-tech and cutting-edge, so this one is your best choice if your comany is young and energetic. The logo animaiton processing can be done in 5 steps. You need to sign in when you use it first time. It includes various fun and interesting templates. We would here like to state that you can use Wondershare FilmoraPro if you want to make a breathtaking intro video. This software is the best choice for its 2D and 3D intro logo effects package. Also, we hope that by now, you have decided which to use and started working on your logo intros. You can share with us if we missed any other logo animation maker and if you like this post. Thanks!